There isn’t anything more terrible than being in the middle of a project-crisis and having no-one there to actually support you. Instead, there is quibbling and communication that doesn’t bring the problem any closer to its resolution. Being treated like a pinball inside a pinball machine, is gut-wrenching. It’s even more gut-wrenching when, as a high-profile brand, you’ve paid a hefty amount of money for Enterprise WordPress hosting, and expect at least a certain level of professionalism and respect from the other end. It’s a bit of a sobering fact, that there aren’t many companies that provide a true Enterprise partnership anymore. There’s no-one that cares for your specific business case, or shares the same deadline anxiety with you. There’s no-one at the project kickoff stage as a part of your team, to brainstorm, consult, and help launch the project. 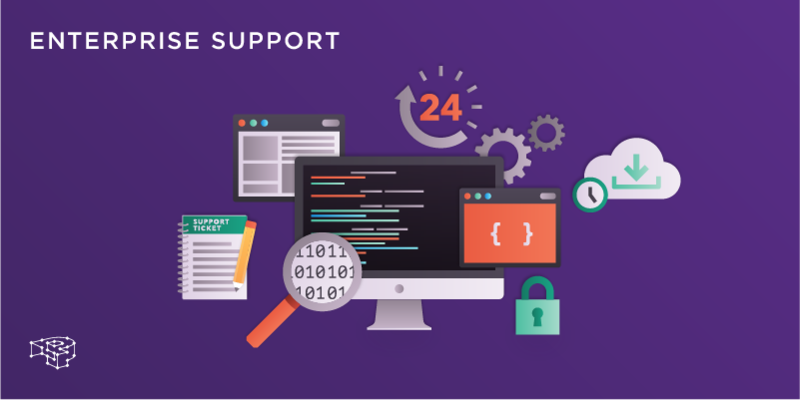 No matter if you’re in the middle of migrating to WordPress from your old CMS, or have a large portfolio of web properties that you need to run campaigns for, launch microsites, etc: You need a true technology partner by your side. One that will offer solid technical advice, and cooperate with you during the design, development and execution phases of a project. One that will closely follow the project through QA and launch, and lessen the burden of anxiety, as a project co-owner. 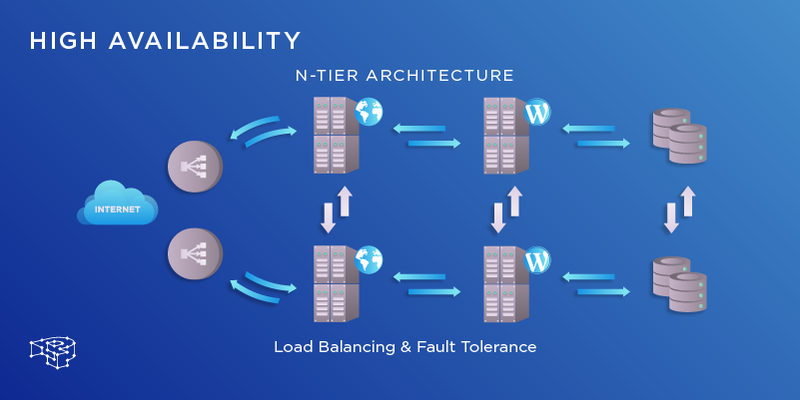 However, an Enterprise partnership without a true high-availability architecture that can protect your business during very high demand is not enough; no matter how good-willed support might be. The impact of downtime during campaigns, project launches, and such, can be devastating. Thus, we believe no true Enterprise partnership can exist without an Enterprise architecture that can truly support your business objective. Unfortunately, High availability has become a vague “hand-wavy” buzz-word used to make one sound modern. 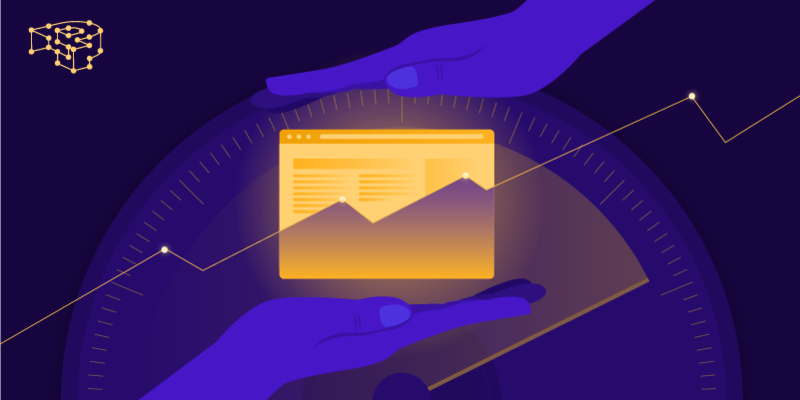 The reality is that a performance penalty on a high-profile site not only affects the experience of its visitors but other vital business areas as well. In these cases, high availability becomes absolutely critical. Having this impact while being in the middle of a marketing campaign, or a special event that will produce very high traffic spikes is an absolute nightmare. Both of these events are expected to increase revenue and so your website must be able to support all that new demand. But in this most mission-critical moment, your hosting provider rolls over and explodes in your face. With lots of collateral. Power-plants, bridges, electrical systems, even aeroplanes are built with failover mechanisms. High availability enables systems to be robust in the face of such failures. It is not a mere buzz-word. As engineers with long careers in mission-critical IT systems, we’ve built all of our High Availability infrastructure ourselves from scratch. We did not rely on any third-party solution like AWS or Google Cloud. From the load balancers, down to the caching layers to the innards of storage, and the service-oriented messaging architecture that orchestrates everything, we know intimately, every bolt, nook and cranny of our platform. This allows us to weather the storm, as they say, even in the most demanding situations your business might find itself in. It also allows for Enterprise support to be consistent in action, transparent in communication, and go the extra mile when needed. Enterprise WordPress hosting, besides the technical aspect of it, is a committed technological partnership between professionals, that is based on transparency, honest communication, and dependable support. A partnership is something more than merely closing tickets. We manage, support and advise any technical or business problem you face now or will so in the future. Scalability and growth, re-orgs and system integration, capacity planning, traffic “spike” events, the whole works. We are there in every stage of the project with you, as project stakeholders. The term ‘Enterprise WordPress Hosting’ is not a fancy buzz-word used to sound exclusive. 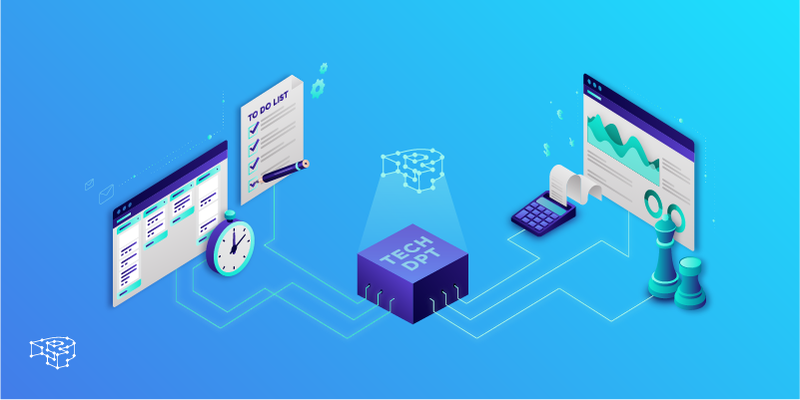 It pertains to technologies designed to solve real-world business problems but it also implies a certain business code of conduct, that we as engineers see as lacking in today’s modern web world. Anything else is just 🎉 really. Signing up for an Enterprise account takes a little bit more time than for a standard one, due to its complex technical nature. In the beginning, there is a preliminary discussion of your business constraints. Once we identify the best-suited Enterprise plan, you sign-up, choose a datacenter among the 7 locations we offer, and then you’re ready for project kickoff! Staffed with a dedicated support team and account manager. On a load-balanced Master-Master / Active-Active topology with a dedicated 5-node cluster. Fault-tolerant: continues to operate, even in the event of component failure. Highly-available: maintains a high-level of uptime, in the case of traffic spikes. Scalable on-demand: can seamlessly grow in order to handle a higher amount of workload. If you are facing performance, scaling, or availability issues, send us a quick message by pressing the button below. We’ll give you our objective technical assessment and provide you with possible solutions (even if it turns out that Enterprise plans are above your budget!). Our white-glove support ethos does not apply only to our clients, but to anyone that is facing Enterprise-level business problems, and is in need of Enterprise-grade WordPress hosting. Are you facing business-critical challenges?